Hola Chicas/Chicos..I pray all is well with everyone. 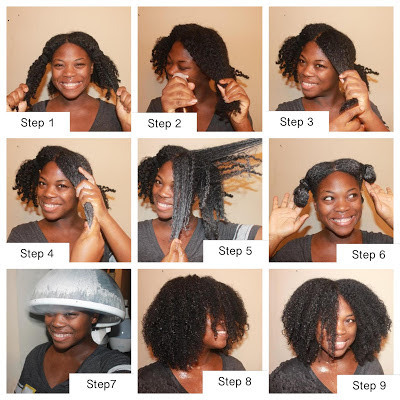 So I decided to do a series titled 'Step by Step' pictorials of my healthy hair tips that I hope will also be beneficial to aiding you through your journey with ease. What is PRE-POOing and Why Do It? PrePooing is a beneficial step that is done before shampoo cleansing the hair. It allows the hair to retain more conditioner, it helps prevent swelling of the hair and it minimizes the harshness of shampooing and helps rid the hair of shed hairs accumulated throughout the days and weeks. (keep in mind, normal hair will shed between 100-150 hairs per day. You can tell shed hair by the white tip or bulb at the end of the hair)...If you have a prepoo method of your own that is working, please feel free to share. I do this about once per month each time I do a shampoo cleanse. Place hair into 2 to 4 sections (if long enough) to prep for pre pooing. 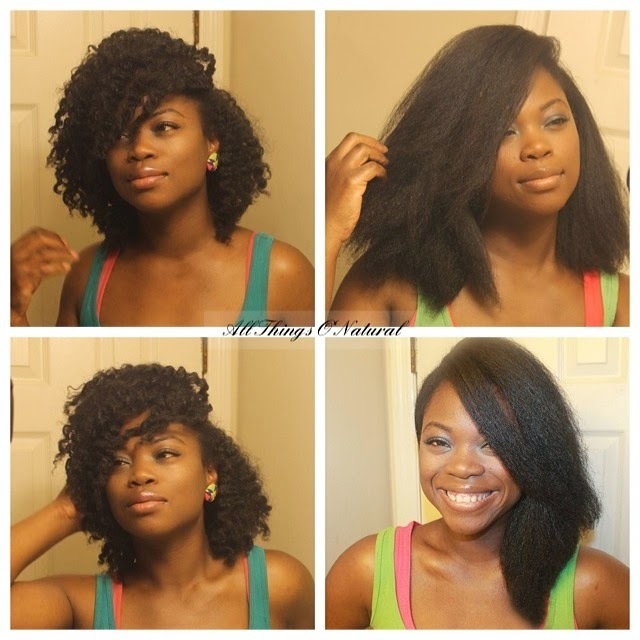 The sections allow for ease of doing this method and to help prevent the hair from re-tangling. Select a spray bottle with water, your favorite oil and/or conditioner (recently, I've been using both an oil and conditioner. )I apply my hair using my Natty ACV Hair & Scalp Mist. This helps remove old product build up, working as a light clarifier as well as help with detangling. Saturate the hair, making sure to thoroughly apply to your ends, with your favorite natural conditioner. I use our Natty Moist leave in conditioner. It's perfect due to the slip factor and the tangles just melt away. 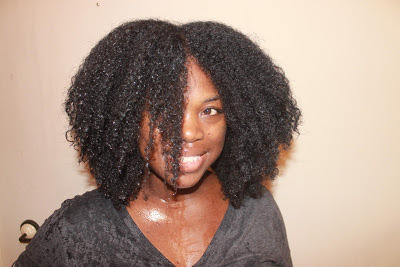 ** fyi, I have low porosity hair and it stays hydrated using these methods. Shampoo (Dudu Osum Natural Shampoo) , deep condition (Natty Cupuacu & Rhassoul Deep Conditioner), apply a leave in (Natty Moist) and seal in the moisture (Natty Butter). Step 1: select a good moisturizer (water based product such as a leave in conditioner) and sealer(butter or natural oil) (use of a styling agent is optional). I moisturized using my Natty Moist and sealed using my Natty Butter. You will also need 2 ouch less metal free bands and 1, 2 or more bobby pins. Step 4: Moisturize hair and, without creating parts, place top and middle section of hair into ponytails. Creating parts will cause the style to look more like ponytails than the intended faux fro hawk. Once you have your pony tails secured tightly, fluff the hair so the ponytails are seamless and the hair blends together making it look like one seamless fro hawk. Step 5: twist your front bang beginning half way down twisting to the end to prep for the swooped front. Step 6: swoop the twisted bang to desired side and pin using bobby pin(s). Tighten up any loose ends,such as loose hairs, fluffing the hair to ensure a seamless style and apply some sheen (I melted my Natty Butter down to an oil and applied to my finished style to add some shine). Enjoy and rock it out!!! !